Diets are a dime a dozen, so it’s easy to lose sight of the important questions like how does the diet work, or what are the benefits and risks associated with it? The latest nutrition trend is intermittent fasting. 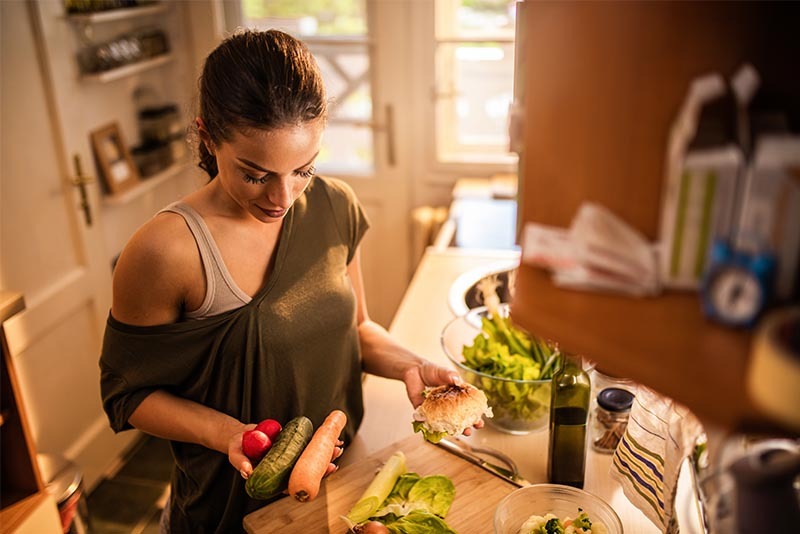 This type of diet is very popular among athletes, but many weight-loss seekers also tout it as the ultimate slim-down method. So we decided to take a closer look at this kind of fasting and share with you what we found. As the name suggests, intermittent fasting is an eating pattern that cycles between periods of fasting and eating. Strictly speaking, it is not a diet but more of an “eating schedule.” You are not told what to eat, but you do have to stick to specific times. 16/8 method: This is known as the Leangains method. Here, you have a feeding window of eight hours and a fasting period of 16 hours. Put simply, the normal fasting period while you sleep is simply extended by a few hours. You can skip breakfast, for instance, and consume your first meal at noon and keep eating up to eight o’clock in the evening. 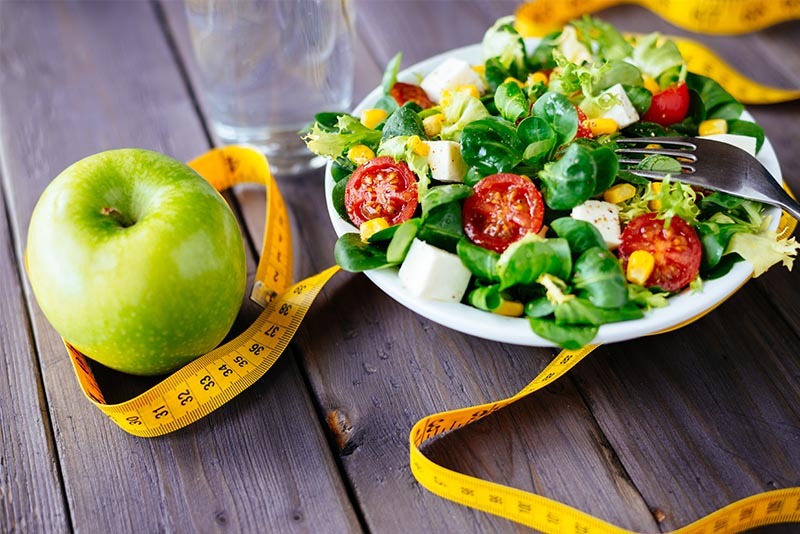 5:2 diet: The idea is that for two days a week you reduce your calorie intake to a maximum of 500 to 600 calories per day. The days do not have to be back-to-back. The other five days you can eat what you want within reason. Eat Stop Eat: This type of intermittent fasting alternates between fasting and non-fasting days. You eat what you want for 24 hours and then take a complete break from food on the following day. You repeat this pattern once or twice a week. Calorie-free beverages are allowed, as they are in the other methods as well. Intermittent fasting improves your insulin sensitivity, especially in combination with exercise. This is very important for people struggling with their weight because low insulin levels in the blood are associated with better fat burning. The opposite of this is insulin resistance. Studies have shown that increased body weight can interfere with insulin’s ability to reduce blood sugar levels, resulting in more insulin being released. This in turn promotes the storage of fat. The secretion of human growth hormone (HGH) increases, speeding up protein synthesis and making fat available as an energy source. This means, in simple terms, that you burn fat and pack on muscle faster. This is why HGH is often taken in large quantities by the bodybuilding community as a doping agent. Furthermore, according to research, fasting activates autophagy, which removes damaged cells, contributes to cell renewal and generally supports your body’s regenerative processes. If you skip meals and create a calorie deficit, you will lose weight. That is, unless you compensate for the fasting periods with foods that are packed with fat and sugar. It can happen: This type of eating pattern does not tell you what foods you should or shouldn’t eat. Studies have found that intermittent fasting (if done properly) can be just as effective at preventing Type 2 diabetes as a daily reduction in calories. Plus, your body can learn to process the foods consumed during the feeding window better and more efficiently. Additional research has shown that a combination of the 16/8 method and strength training (with your own body weight, as well as free weights) can reduce more body fat than strength training alone. This also means that it is particularly effective when combined with regular workouts. Note: This type of dieting is not necessarily suitable for people with diabetes, high blood pressure or pregnant & breastfeeding women. You should check with your doctor before changing your eating pattern. 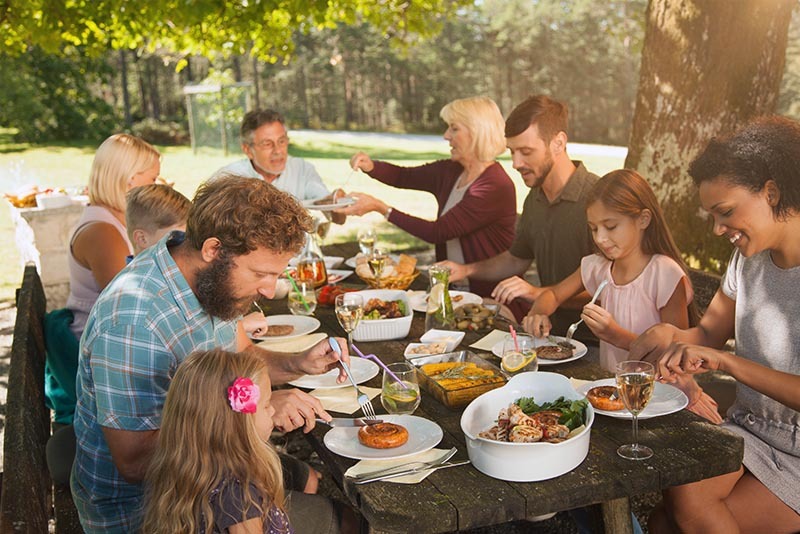 So, fasting can be an effective weight loss method, but have you ever considered the social aspect? Picture this: Friends have invited you to a birthday brunch on Sunday. The breakfast buffet is replete with delicious muesli, fresh fruit, yogurt, scrambled eggs, vegetables, salmon… Your friends dig right into their sumptuous breakfast. And you? You sit next to them and sip on your water. After all, it is only ten o’clock in the morning and you can’t eat your first meal until noon. Plus, you have dinner plans that same evening at 7 pm – with an eight-hour window, you have to make the most of it. If you plan your fasting window cleverly, you can still enjoy meals together with your friends and family. But, generally speaking, this type of eating pattern doesn’t leave much room for spontaneity and flexibility. What can you do when hunger strikes? Many people who try intermittent fasting complain about hunger pains, fatigue, exhaustion and cravings, which makes sense considering that you skip meals. But others say that the hunger goes away once you have withstood the first “critical” phase (about two days). If your hunger gets too bad in between, you can try drinking some green tea or black coffee to help you get by until your next meal. Intermittent fasting is definitely not for everyone, but it can be a good method for reducing body fat. You should definitely watch what foods you eat during the feeding window, so don’t just stuff yourself with burgers, fries and pizza. The focus here, as elsewhere, should be on eating a healthy, balanced diet.